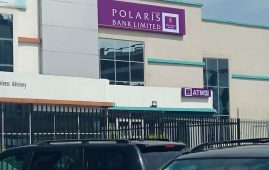 Polaris bank customer care – Following a license withdrawal from defunct Skye bank Plc in September last year(2018), a bridge bank was created as an aftermath of this effect, the bridge bank is called Polaris bank limited which came into existence in September 22, 2018. By implication, a bridge bank is a bank in transition or rightly say, it’s a bank awaiting to be acquired by another bank in the future. It’s noteworthy that Asset Management Company of Nigeria (AMCON) injected a whooping N386bn into Polaris bank, to further provide stability and necessary Capitalization for ease of doing business. Skye bank email login and many more to mention a few. However, product patronage walks in hand with complaints and concerns usually encountered en-route daily transactions. All Polaris bank limited customers should understand that every other detail they maintained with defunct Skye bank remain the same with Polaris bank limited. The only difference is license withdrawal and change of name. There are usually various departments in a bank, concerned with specific responsibilities and proffering solutions to customer complaints. ATM card hot listing in case of theft or misplaced. Account opening enquiry, product suitability and many more. TELEPHONE – +234 806-988-0000, +234 1-488-2100, 0700 75932265, 01-2705850. The Polaris bank customer care unit is called yes center. You can as well walk into any Polaris bank Limited branch in town to interface with a customer service officer who will handle your complaints. @PolarisBankLtd this is one of their most preferred channel by customer experience. Polaris bank customer care is just a pole away from you, kindly take advantage of the contacts provided to solve your problems yourself without visiting any branch if you so wish. Thank you very much for stopping over. I understand that you made this payment in 2013 when main street bank was still in existence, things have really changed. Where is your own copy of the deposit slip? Polaris bank may hardly trace this serial number. In saner settings, your school should write officially to the bank to avail her your payment details. You may as well write to the bank officially, be humble in your tone. They’ll advice you accordingly probably find a solution to this.